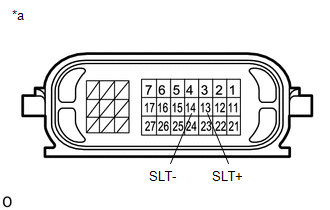 Refer to the system description for DTC P27137F (See page ). Open or short is detected in shift solenoid valve SLT circuit for 1 second or more while driving (1 trip detection logic). 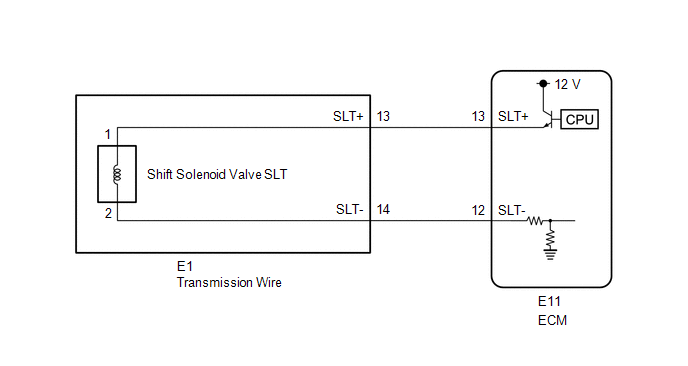 When an open or short in the shift solenoid valve SLT circuit is detected, the ECM interprets this as a fault. The ECM will illuminate the MIL and store the DTC. After repairs have been completed, clear the DTCs and then check that the vehicle has returned to normal by performing the following All Readiness check procedure. When clearing the permanent DTCs, refer to the Clear Permanent DTC procedure (See page ). Connect the Techstream to the DLC3. Turn the ignition switch to ON and turn the Techstream on. Clear the DTCs (even if no DTCs are stored, perform the clear DTC procedure). Turn the ignition switch off and wait for 2 minutes or more. [*1] : Normal judgment procedure. The normal judgment procedure is used to complete DTC judgment and also used when clearing permanent DTCs. Enter the following menus: Powertrain / Transmission / Utility / All Readiness. Check the DTC judgment result. If the judgment result shows NORMAL, the system is normal. If the judgment result shows ABNORMAL, the system has a malfunction. If the judgment result shows INCOMPLETE or N/A, perform the normal judgment procedure again. Perform the universal trip to clear permanent DTCs (See page ). Perform registration and/or initialization when parts related to the automatic transmission are replaced (See page ). 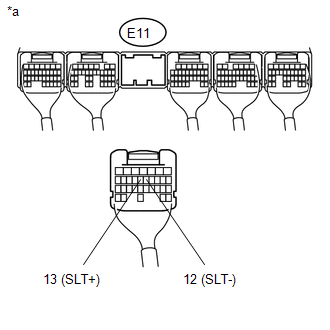 (a) Disconnect the E1 transmission wire connector. (b) Measure the resistance according to the value(s) in the table below. (a) Disconnect the ECM connector. 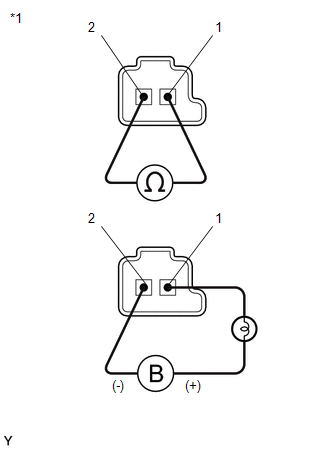 (a) Remove shift solenoid valve SLT (See page ). (c) Apply 12 V battery voltage to the shift solenoid valve and check that the valve moves and makes an operating noise.